Gilt altarpiece depicting Saint Sebastian, 15th century. 95 x 45 x 8 cm. Private collection. Courtesy Ingleby, Edinburgh. 11am - 5pm, Wednesday to Saturday, and Tuesdays in August. For the 2017 Edinburgh Art Festival Ingleby gallery reaches the half way point of its year-long sequential exhibition and per se and, where one work is paired with another for two weeks at a time across a stretch of twelve months. Part XIII of the sequence brings together two strangely romantic meditations on human fortitude, made over 500 years apart. 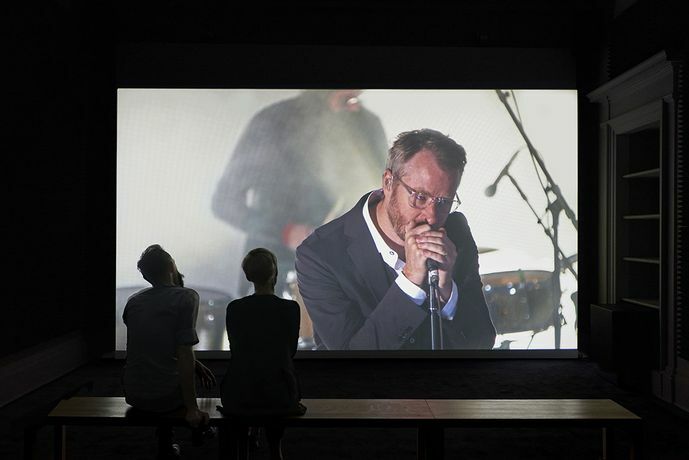 Ragnar Kjartansson’s film 'A Lot of Sorrow' documents, in real-time, a performance orchestrated by Kjartansson at MOMA PS1 in 2013 in which he asked the American rock band The National to play their song 'Sorrow' repeatedly for six hours straight. Described by the New York Times as “Minimalist in structure: yet unimaginably expansive” it is a masterpiece of endurance art – soothingly melancholic and strangely hypnotic. In this phase of the exhibition 'A Lot of Sorrow' is joined by possibly one of the most recognisable symbols of idealised suffering in the Western art historical canon; a small, 15th century altarpiece, from the Umbrian region of Italy, depicting the martyrdom of Saint Sebastian. 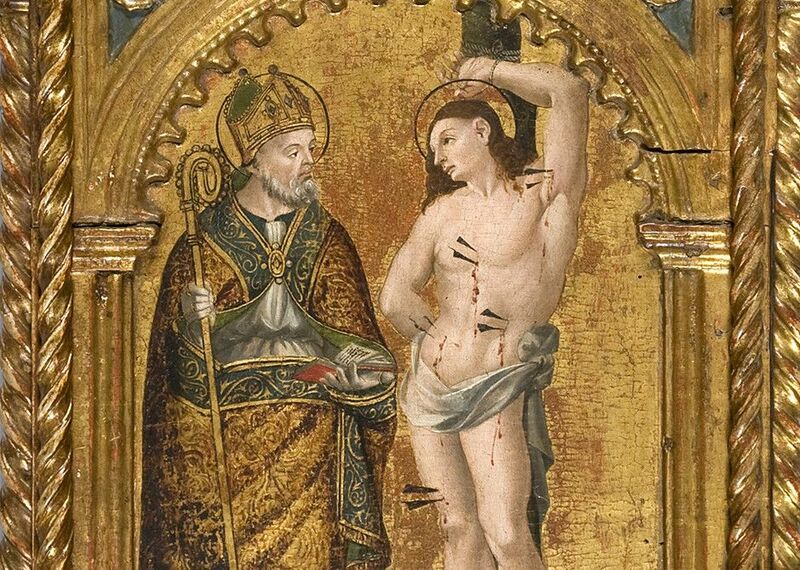 Saint Sebastian is pictured standing contrapposto, lashed to a stake – his body filled with arrows – attended by the figure of a Bishop, probably St Augustine or St Herculanus, with God the Father looking on from the gilt lunette above. Appropriately, in the context of The National’s marathon performance, the sorrowful Saint Sebastian is also the Patron Saint of athletes; a symbol of stamina and perseverance, strength and courage. 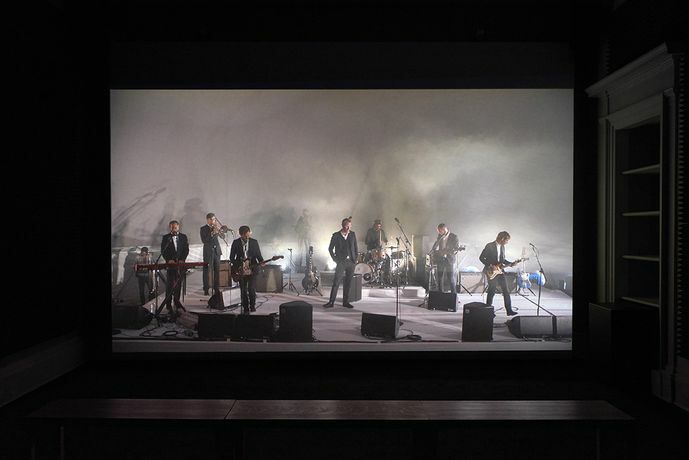 Ragnar Kjartansson’s film is screened in full 11 am – 5pm, Wednesday to Saturday ( and Tuesdays in August) until 2 September. 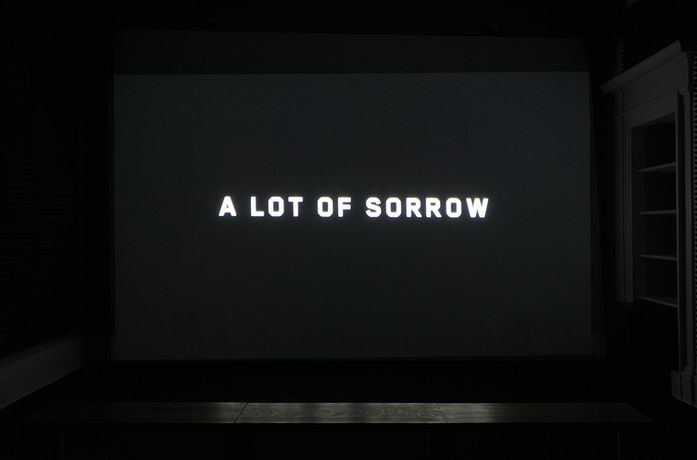 It is the first time that Kjartansson’s work has been seen in Scotland. Ingleby thanks the Studio of Ragnar Kjartansson and i8 Gallery, Reykjavik, for their generosity and support.